This post is special to me as I’ve been wanting to do this course for quite some time. I’ve been working with Access Consciousness questions, mantras and the clearing statement for over a year now and I’ve had some phenomenal results. I’m happier and much more clear minded for the first time in years. So when the opportunity to do a Bars class in London came up I took it. I’d never had my Bars done before, I’ve just worked with generating questions, energy balls, statements and clearing energy, so it was all very new to me. 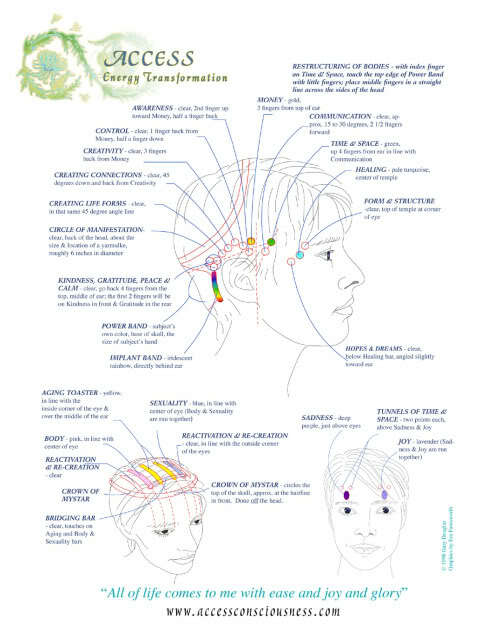 The best way to explain is this is from the Access Consciousness Bars website itself. Also the diagram at the top of the my blog post shows where the points are.